Which Size Wedding Sparklers Should You Choose? At Wedding Sparklers Outlet, we carry three different sizes of wedding sparklers for sale, 10-inch, 20-inch, and the bigger 36-inch model that will burn for up to 3.5 minutes. One of the most common questions our customers ask us is, "What size wedding sparklers do I need?" As with everything else you have to choose as part of your wedding ceremony, there isn't a cut and dried answer as every event is different. Before we get into more detail about choosing the right sparklers for your special day, let's take a look at each of the sizes and what they have to offer. These are the smallest of our wedding sparklers for sale and will burn for approximately 35-40 seconds. They come with a steel wire core and are virtually smokeless, making them an excellent choice for indoor use. They can be placed on the wedding cake or used as party favors at your reception. 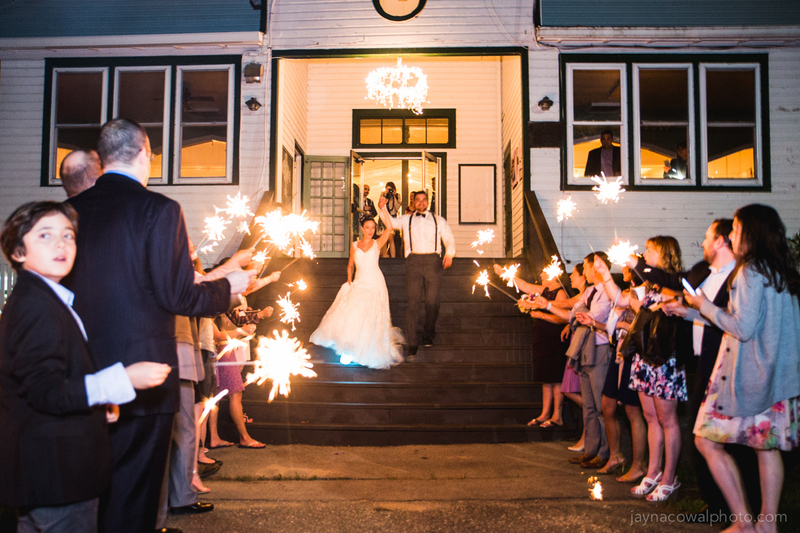 If you plan to use them for your send-off line, you will need to have about 5 sparklers per guest. Being double the length, you might expect to get double the burn time. But these will burn for about 2 minutes making them ideal for your send-off or for use at your reception. They are also great for use during your wedding photo sessions as a wonderful way to add a magical touch to the pictures without having to worry about smoke ruining the shot. These are our biggest wedding sparklers and will burn for an incredible 3.5 minutes. This makes them perfect for your send-off as they give your guests plenty of time to get them all lit. These sparklers are designed to be easy to light. You can also use them to create amazing displays for photo events as they are built on a steel wire making them virtually smokeless. One of the biggest considerations when looking at sparklers for your wedding is time. You have to factor in how long it will take for everyone to get theirs lit. If the first ones are already burning out before the last ones are lit, your send-off is going to fizzle out just like the sparklers. The last thing you want is for your guests to become stressed out while trying to make sure all of the sparklers have been lit. At the same time, you need to consider how much room your guests have to work with. For example, if the pathway for your send-off is relatively narrow, buying 36-inch wedding sparklers may not be your best choice, unless you expect your guests to joust with each other for space. At the same time, if you have a couple hundred guests, 10-inch sparklers are going to burn out far too fast for them to be used to form your exit archway. The answer is that you need to balance size with time and space to ensure you buy the right wedding sparklers for sale.